Dan Carter is the Managing Director of North America for Racepoint Global, an advanced marketing services agency, which guides people and brands, helping them navigate the rapidly changing waters and connect with people through meaningful content and experiences. Dan has more than 20 years of experience in marketing & PR. 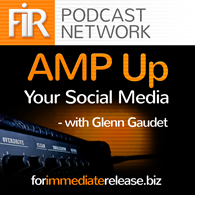 He recently joined AMP Up Your Social Media’s host Glenn Gaudet to discuss the social media at an agency level and to provide insider tips for in-house marketing departments to maximize their social media marketing efforts. The thing with social media is you have to commit to it. It takes time. Social media should not be a thing you do off on the side; it needs to be fully integrated into your marketing function. Everything you do; from lead gen, to public relations, to traditional marketing, to advertising, to social, needs to be all linked together. 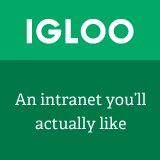 You need to be saying the same thing across all channels (in different formats, of course), but the theme needs to be the same. For corporate social media managers, Dan offers these helpful tips you can start implementing today! What’s your theme? When creating a social campaign, it is important to identify your theme and the focus of your content. Get organized. Really plan your content, the channels you plan to share it on and when you plan to share it. Develop a calendar. Once you identify your theme, decide how long you are going to run this campaign and then break it down into buckets. Carter uses the rule of 8: What content are you going to push at 8 weeks out? 8 Days out? 8 hours out? 8 minutes out? You start to bucket your content into buckets of 8. Stick to it! Once you have your plan, make sure you stick to it. Your message will come across branded and consistent and it will be easier to leverage. To learn more about Racepoint Global visit http://www.racepointglobal.com or to chat with Dan, find him on Twitter @DanRPG. Dan oversees Racepoint Global’s US operations that includes its Boston, San Francisco and Washington, DC offices. Since joining Racepoint in 2003, Dan has provided strategic counsel and guided public relations programming for leading and emerging technology, consumer and healthcare brands. He has extensive experience in global account management and has played an integral part in expanding the agency, building out Racepoint’s brand and offer – particularly in the areas of social media and measurement – and in creating a strong team that is the best in the business when it comes to delivering results for clients consistently. Dan also brings over a decade of deep health care/life sciences experience having architected and managed several impactful national disease awareness campaigns including vascular disease, infection prevention in pediatrics, regenerative medicine, women’s health, IVF, PAD, cardiology, oncology, urology, Sepsis education and orthopedics. Dan also brings several years of experience in executing health IT PR programs in the areas of EMRs/PHRs, ACOs, health IT security and point-of-care/mhealth. Dan has worked with established and emerging brands in the healthcare/sciences space including Cook Medical, Thermo Fisher Scientific, UMass Memorial Hospital, Dana-Farber Cancer Institute, ConforMIS, Dossia, eClinicalWorks, BG Medicine and The Conversation Project. Dan has also has deep expertise in B2B technology including cloud computing, network infrastructure, telecommunications, SaaS and data center technologies. Client experience includes Rackspace, Virtual Iron, ShareFile, Marathon Technologies, Stratus Technologies, Kronos, EnerNOC, Egenera, Deltek, Canonical and Alcatel-Lucent. Finally, Dan also has a keen understanding in executing B2C traditional and social media programs with such companies as Sony, Catalina, Avery Dennison, Regus, Linkables and TechSmith.